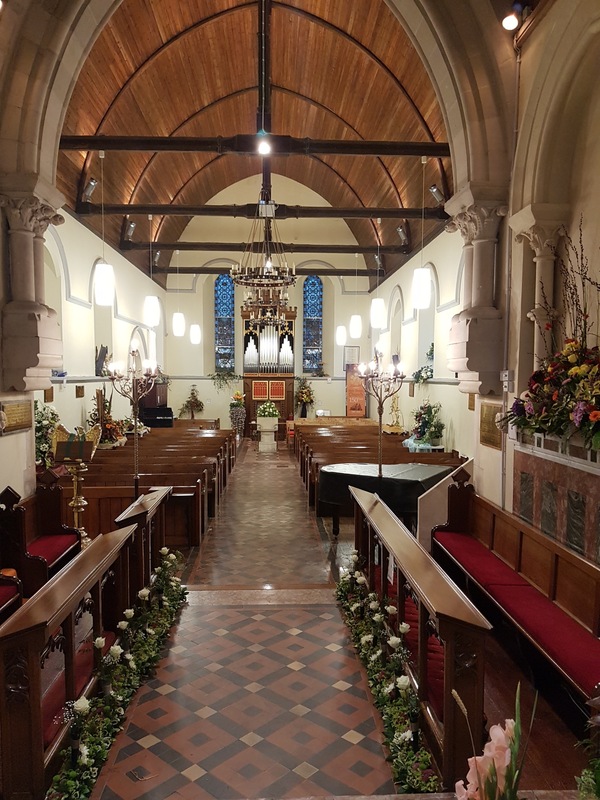 As part of the 150th anniversary celebrations in Templebreedy Parish Church in Crosshaven, County Cork, a wonderful flower festival was held recently. 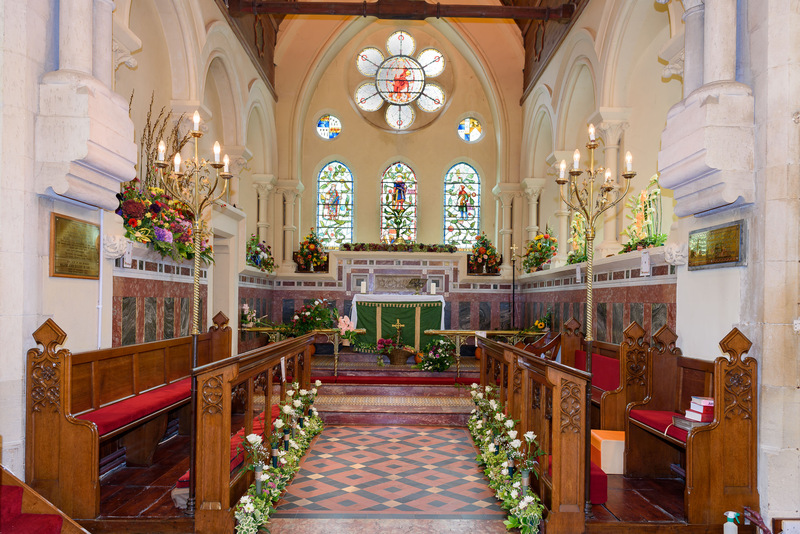 Flower Festival in Templebreedy Church, Crosshaven celebrating 150 years. 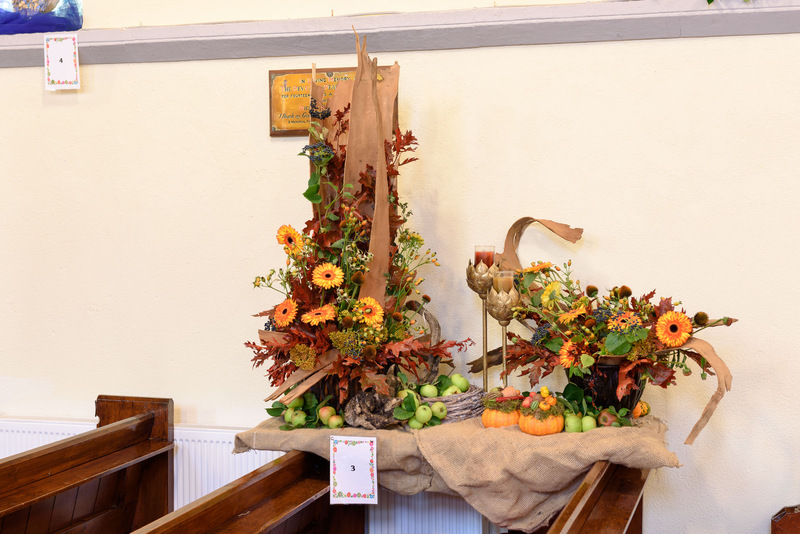 There were amazing displays of flowers put together on the theme ‘in Praise and thanksgiving’. The festival was officially opened on Friday evening by Mrs. Mary C. O’ Keefe former president of A.O.I.F.E (Association of Irish Floral Artists). The Church was truly transformed and amazed all who came to see and enjoy. 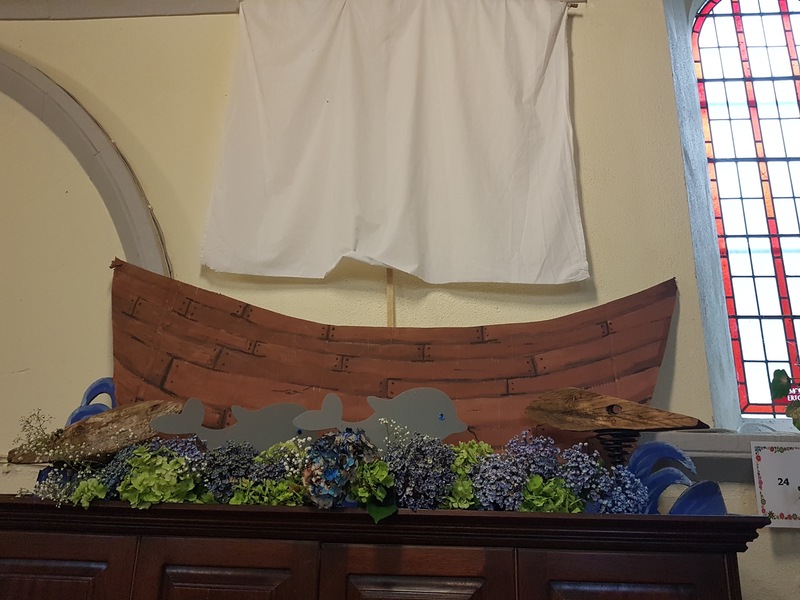 The Church porch was decorated beautifully by the Templebreedy School children, gorgeous displays by parishioners, friends and flower club artists from across the county. 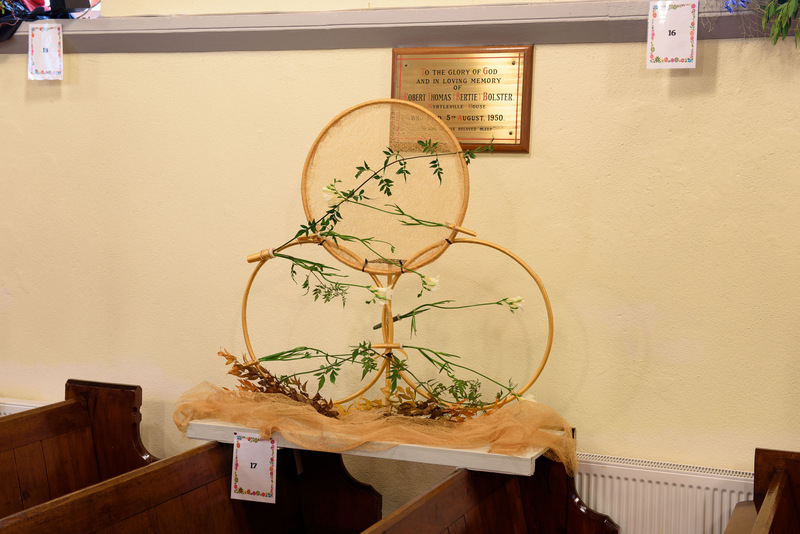 The festival was aptly closed with a Harvest Thanksgiving Service Sunday afternoon. A former rector, Canon Dr Daniel Nuzum, was welcomed back as guest preacher. 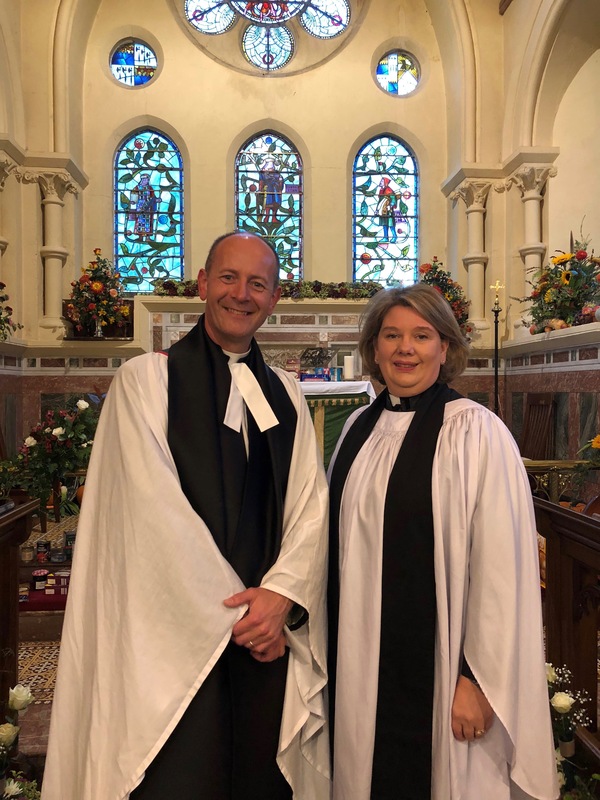 Canon Dr Daniel Nuzum with the rector, the Reverend Isobel Jackson. 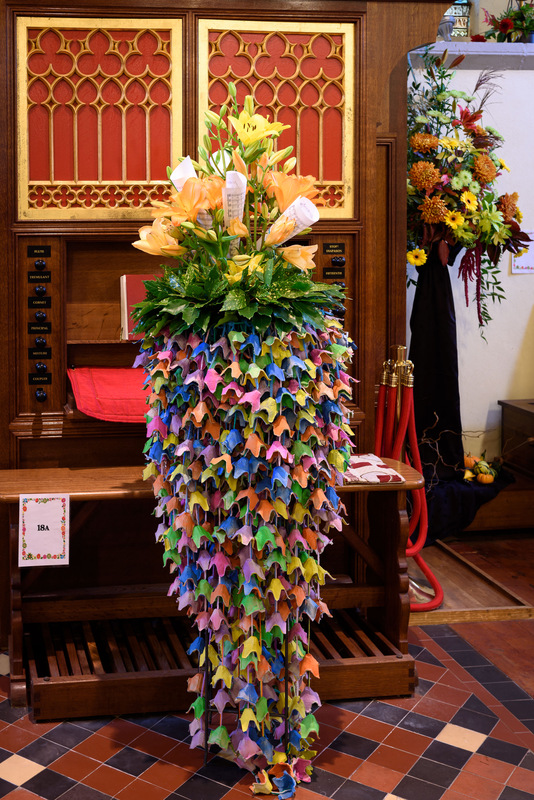 With the backdrop of the beautifully decorated church from the Flower Festival the full congregation raised the roof with wonderful praise and singing. This entry was posted in Anniversaries, Churches in Cork, Festivals, Sesquicentenary. Bookmark the permalink.